On an average, over 2 crore people travel by train in India every day. While the shortest train route is 3 km, the longest one spreads across a massive distance of 4273 km and passengers spend hours and sometime days on trains with almost nothing to do while they are travelling. Irrespective of the distance and the destination, train passengers always look out for exciting ways to spend their journey time usefully. In this direction, Magzter, the digital magazine newsstand, has partnered with IRCTC (Indian Railway Catering and Tourism Corporation), the Government-owned enterprise that manages the online ticket-booking portal of Indian Railways, to offer an unmatched digital reading experience to latter’s 6.6 crore+ users. Thanks to increased smartphone and mobile Internet penetration, this initiative is sure to receive a rousing welcome from the train passengers. Under this partnership, IRCTC users can get unlimited access to 5,000+ best-selling magazines and select newspapers on their smartphones and tablets at an exclusive offer price starting at just Rs 20 plus GST per day journey. These magazines spread across 40+ exciting categories including automotive, business, comics, education, entertainment, fashion, fitness, lifestyle, news, politics, science, technology and travel, thereby catering to diverse interests of people belonging to different age groups. The readers can enjoy unlimited access to superlative content from all the major countries including India, USA, UK, Singapore, Australia, Canada and South Africa on the go. Apart from leading Indian English magazines, Magzter also offers magazines across all the regional languages including Hindi, Marathi, Tamil, Telugu, Kannada, Malayalam, Bengali, Punjabi, Gujarati and Urdu. More importantly, once the magazines are downloaded on the device, they can be accessed even without an internet connection, which will come in handy when the users are travelling. 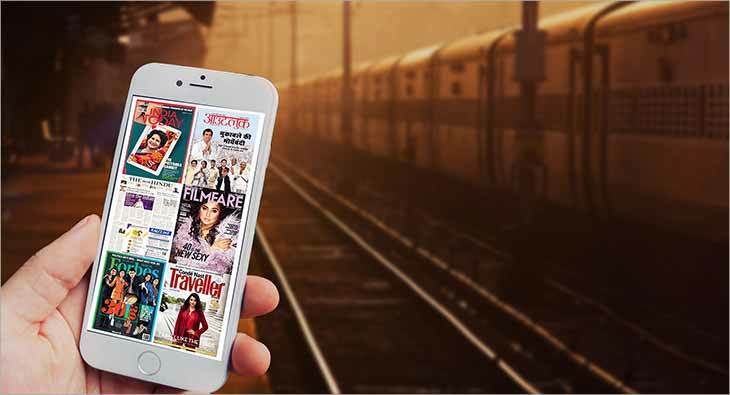 Along with magazines and newspapers, IRCTC users also get access to premium articles curated from best-selling magazines and the latest news from hundreds of trustworthy sources on the Magzter app. IRCTC users can choose their packs from various durations – 1 day at Rs 20 (special pack available only for IRCTC users), 1 week at Rs 30 (special pack available only for IRCTC users), 1 month at Rs 99 (MRP - Rs 399) or 1 year at Rs 499 (MRP - Rs 3,999), and indulge in unlimited reading. Magzter is also offering an exclusive 7-day free trial for IRCTC users. To purchase a pack or claim the free trial, users can go to the IRCTC website, click on ‘IRCTC Exclusive’ and then click on ‘Digital Magazine’ from the drop-down list. Users will be redirected to the Magzter website, where they can Sign in/Sign up with Email address or Facebook and claim the offer. Once the offer is claimed, users can enjoy unlimited reading on the Magzter website and the app (Android/iOS) with their credentials. “We’re extremely delighted to partner with IRCTC and offer our world-class digital reading services to their users. With this partnership, we’re quite confident of further spreading the digital reading revolution across the length and breadth of India. We’re looking forward to a long-standing and fruitful partnership with IRCTC,” said Girish Ramdas, CEO, Magzter Inc.